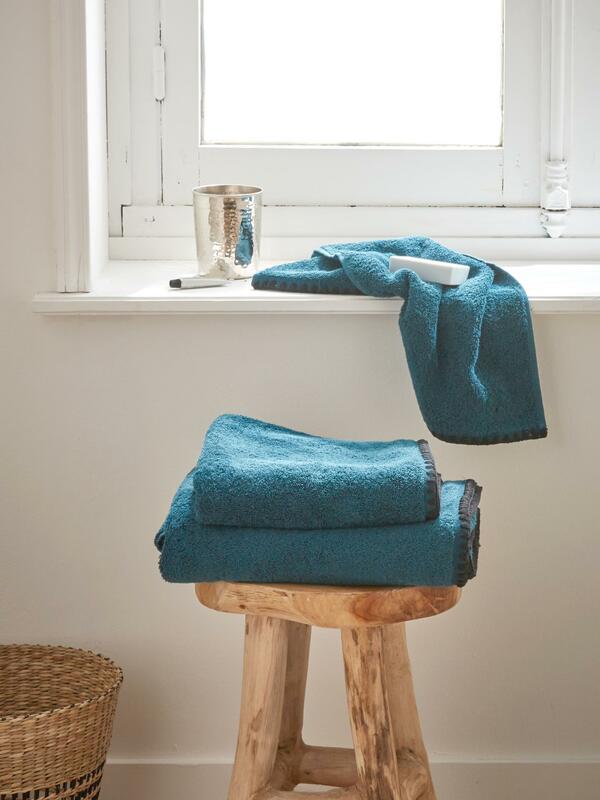 Terry towelling bath towel with contrasting rick rack trim: a small detail which makes the whole difference. A chic, plain and really thick terry towelling bath towel. Several sizes. Made in Turkey.